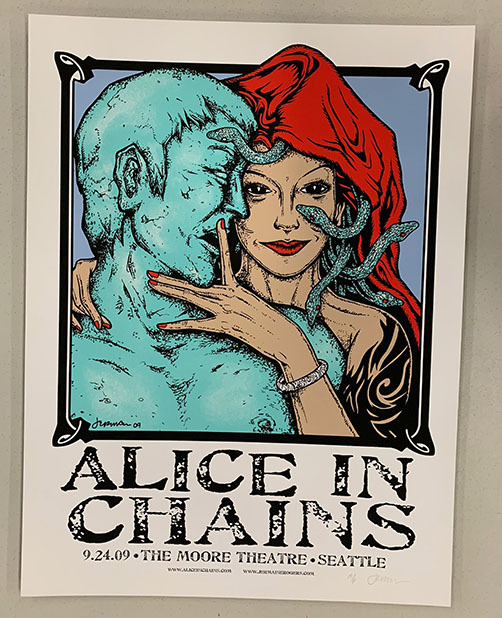 Original silkscreen concert poster for Alice in Chains at Moore Theatre in Seattle, WA in 2009. 18 x 24 inches. 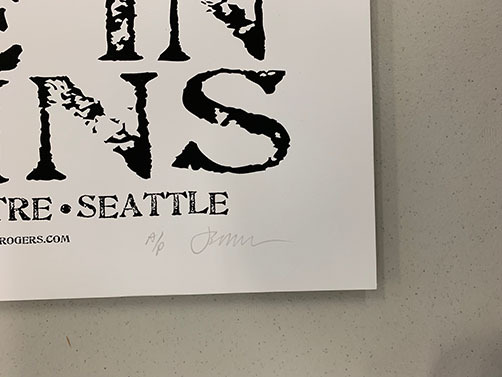 Signed as an AP by the artist Jermaine Rogers.